Growing up, I’ve always had a stand mixer in my kitchen. This is because my mom is a baker. To me, a stand mixer is a necessity to bake picture perfect cakes, breads and pies. Of course, you don’t need a stand mixer to bake, but doesn’t it make everything easier? I’ve spent the last month baking and cooking with the Cuisinart Precision Master™ 5.5 Qt (5.2L) Stand Mixer. 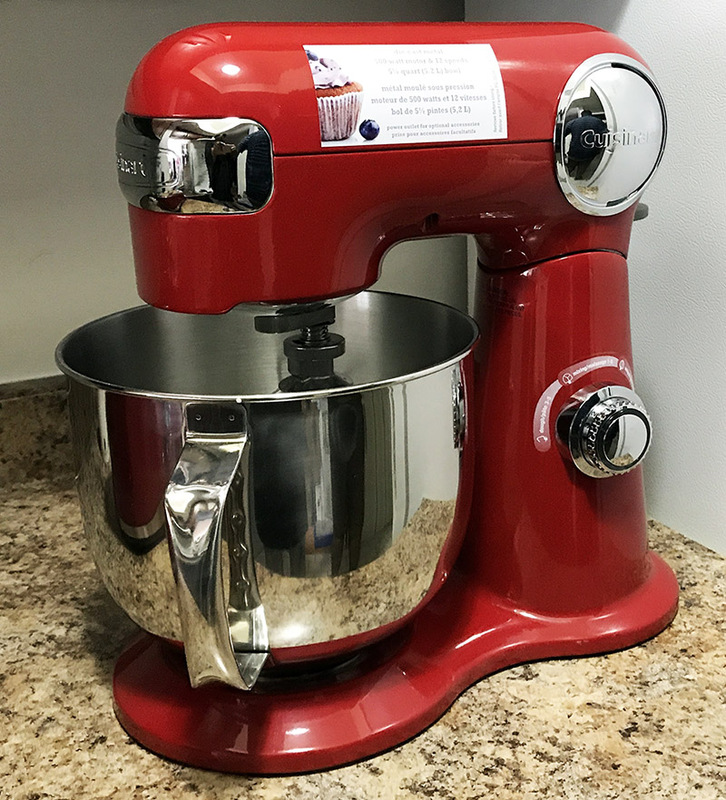 This mixer comes in a variety of colours, and I chose red. I love the bright candy apple red! Don’t be fooled by it’s cheerful colour, however. This mixer is heavy duty! It’s body is die-cast metal, and it has a 500-watt motor. 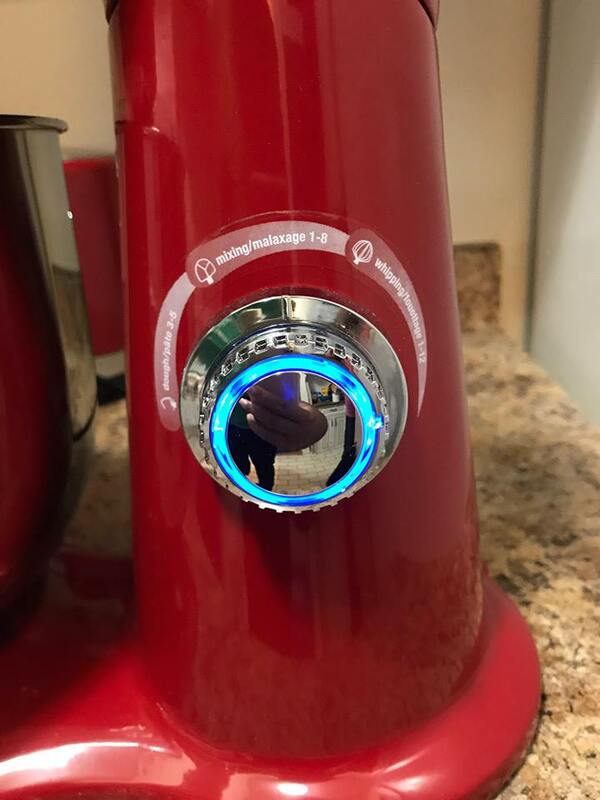 It has 12 speeds so that you can select the perfect setting for whatever you’re baking up. I have an irrational soft spot for things that glow blue, so I’m pleased to say that the speed dial glows blue! The mixer comes with some handy attachments. 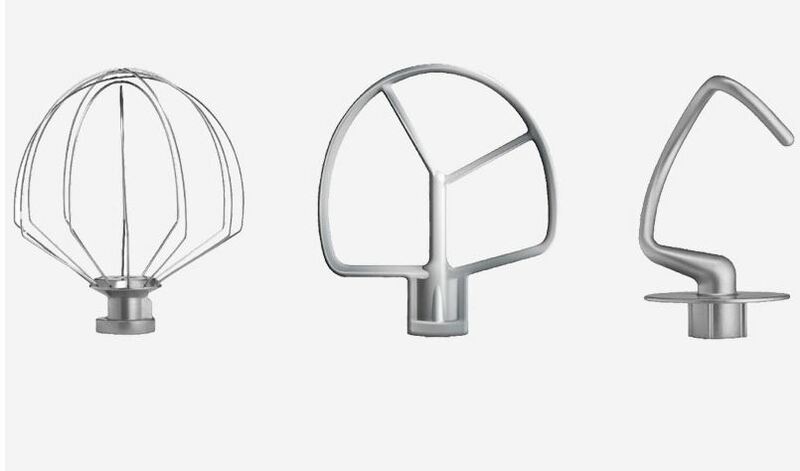 A balloon whisk, mixing paddle, dough hook and splash guard are all included. The attachments are well made and feel like cast iron. The included metal bowl is easy to clean. I’ve been having a great time baking up a storm! 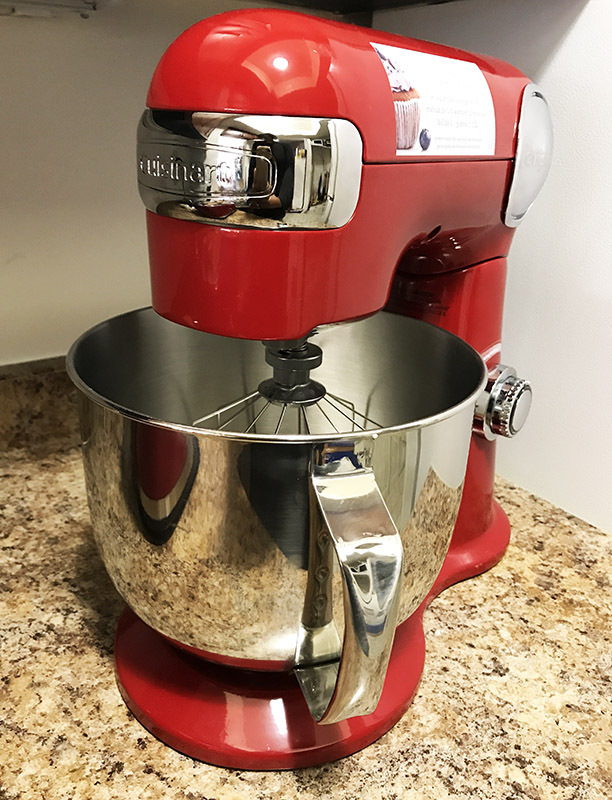 If you’re looking for a new mixer, this is definitely one that you should pick up! Find out more at www.cuisinart.ca.